If you want to add the wow factor to your bathroom then a mirror or cabinet as the centre piece might just do the job. BMUK have a wide range available that are high on features, style and safety where lighting is used. We stock models from Ultra Finishing, Phoenix, Hudson Reed, Rak, Frontline and Premier and all come with at least a 12 months manufacturers guarantee. 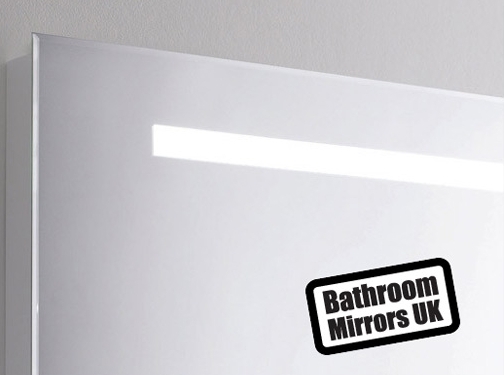 Our website also incorporates a blog where we give advice on the best care of your mirror and show the lengths we go to in packaging bathroom mirrors for safe transit. Ensuring your mirror gets to you in one piece is our priority. Modern bathroom mirrors have some amazing features that are worth the upgrade from the standard square of glass that adorns lots of bathrooms. Many incorporate motion sensor lighting that switches on simply by passing your hand by, so no trying to find the switch in the dark or touching with wet hands. Demisting pads means the mirror is always ready for use and never fogged up even after a steamy shower. For those on the go we also have models that incorporate a clock and temperature functions, never be late for work again! We've recently become a Safe Buy approved retailer so you can shop in confidence knowing that our terms and conditions are in line with trading standards requirements. If you need advice on installation or choosing the right design then give us a call on 01422 370427 or email us at sales@bathroommirrorsuk.com. 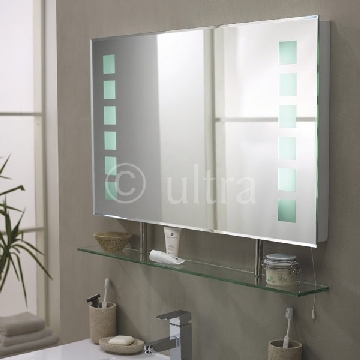 UK (Elland, West Yorkshire) based company providing bathroom mirrors and cabinets for sale. Website includes e-commerce facilities, delivery and returns information, blog, full company contact details.